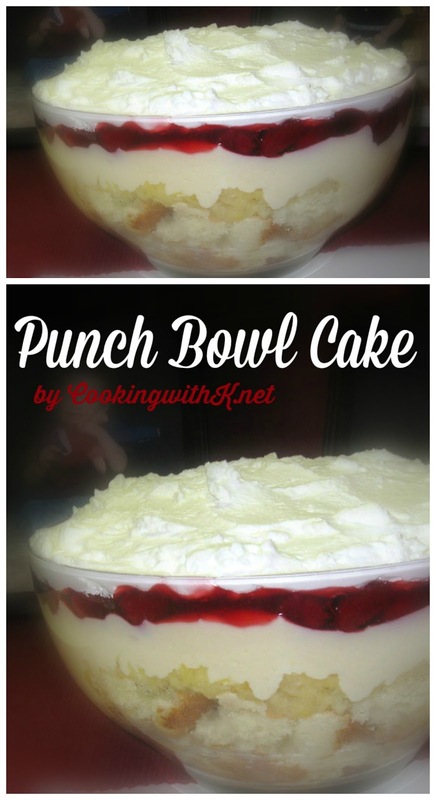 Punch Bowl Cake is a recipe from the 1970's! It makes enough to feed an army! That is why it is made in a punch bowl! You can vary the ingredients but starting off with a yellow cake is traditional!! 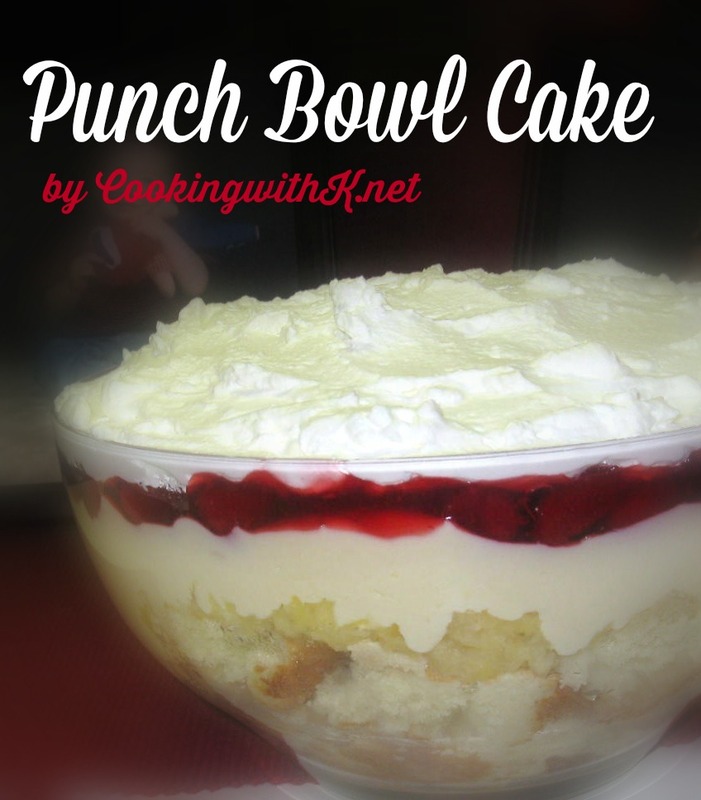 Punch Bowl Cake has been around a long time. I remember my Mother making it in the 70's. It is one of those cakes where there are no rules how you make it. It is traditionally made in an old fashioned glass punch bowl. You can use a large serving bowl instead, and this mouthwatering cake is still very pretty. My Mother's recipe called for a yellow cake mix, canned pie filling, canned crushed pineapple, and Cool Whip. Over the years, I have seen that you can make it with homemade ingredients or not. You can use boxed pudding mix, or make your own homemade custard. You can use fresh fruit, canned fruit, or frozen fruit. I tend to make it with what I have on hand. This time I had a Homemade Butter Cake in the freezer that I planned on icing for Christmas and never got around to it. If I have boxed pudding and pie filling, I use it sometimes, but I prefer to make my Homemade Custard Filling from the recipe I use for my Homemade Banana Pudding. My husband prefers the canned Strawberry Pie Filling (I like the fresh strawberries), and hands down in my house on using Homemade Whipped Cream to top it off with. But as you can see, there are no rules with this cake! All I know is to be ready to serve a crowd when you make it. I made it the day before the Super Bowl, which I recommend, to allow all the layers to congeal together and set. We had some great appetizers, but this cake was the great ending to our Super Bowl Party. Hope your team won! Iron sharpens iron, so a man sharpens the countenance of his friend. Delicious! LOVE your website! What a gift! "No rules" rules! Love the Big bowl cake idea for the exciting Superbowl. This looks and sounds really good! It kind of reminds me of trifle. I had forgotten that my Grandma used to make this!! 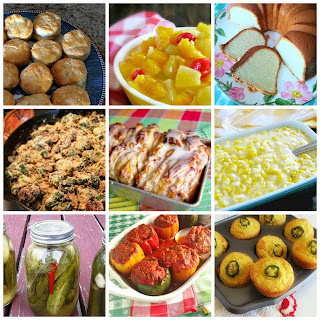 There are so many recipes you post that remind me of my Grandma!! 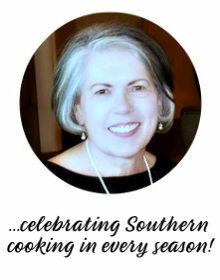 Jess ~ thank you...love hearing how much you are enjoying my Mother's recipes! Looks good! 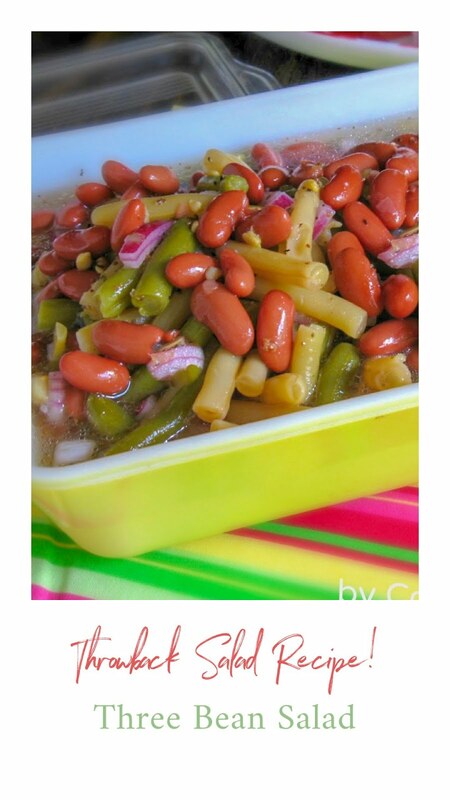 What a rich, yummy recipe! Thanks for sharing! Looks lovely, almost too pretty to eat. Thanks for sharing. Have a great day! I added the link for the homemade custard recipe. Enjoy!